Dr. Cease is a sustainability scientist with a focus on the ecology and physiology of organisms in coupled natural and human systems. Her research involves interdisciplinary approaches to understanding how human-plant-insect interactions affect the sustainability of agricultural systems. A major focus is on locust plagues and phenotypic plasticity in response to rangeland management practices in China, Australia, and Africa. 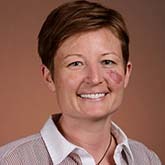 She is leading a team of biologists and social scientists to investigate the interactions among human behavior, market forces, and ecological systems in situations in which human decisions to overstock and overgraze rangeland alter plant nutrient content, increasing the likelihood of locust outbreaks. A key goal of her research is to improve sustainable ecosystem management and local livelihoods by linking fundamental research on animal physiology and ecology with economic models and policy. Cullon, D. A., A. J. Cease, A. V. Latchininsky, A. Ayali, K. Berry, J. Buhl, R. De Keyser, B. Foquet, J. C. Hadrich, T. Matcheson, S. R. Ott, M. A. Poot-Pech, B. E. Robinson, J. M. Smith, H. Song, G. A. Sword, J. Vanden Broeck, R. Verdonck, H. Verlinden and S. M. Rogerts. 2017. From molecules to management: Mechanisms and consequences of locust phase polyphenism. Pp. 169-261 In: Verlinden, H. ed., Insect Epigenetics. Vol 53. Elsevier, Ltd. ISBN: 978-0-12-811833-7 .